Sting's embryonic first stage musical was given two try out performances on Tyneside at the weekend - and afterwards the Wallsend-born star spoke exclusively to The Journal about his new venture. "It's kind of nerve-wracking and a huge risk to come to Newcastle and present something very unfinished and raw, and hope people will understand the process and feel they can invest in it emotionally," he said. The Last Ship tells of a group of shipyard workers whose yard is to close and who are reluctant to transfer their skills to service the offshore industry. Inspired by a local priest, they decide to build their own ship and sail it round the world. At the heart of the tale is Gideon, a young man whose difficult relationship with his father drove him away to sea and away from childhood sweetheart Meg. Having returned like the prodigal son, Gideon has the skills to pilot the ship, but first there are awkward family matters to attend to. 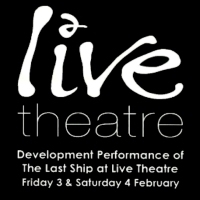 Influential figures from New York's Broadway theatreland were in the small audiences at Live Theatre, Newcastle, on Friday and Saturday to see a cast of 19 perform The Last Ship with scripts in hand. In a moving performance on Friday, Jimmy Nail read the part of shipyard foreman Jackie, his sister Val McLane was Agnes and acclaimed young musician and actor Declan Bennett played Gideon. Behind them was a musical ensemble featuring Kathryn and Peter Tickell under the directorship of American Rob Mathes, who has worked on several Sting projects, including his 60th birthday bash last year when stars including Bruce Springsteen, Billy Joel and Stevie Wonder performed. Sting, who devised the story and wrote the music, including a few of his hits and new material, sat in the audience on both nights to gauge the reaction. Also present were award-winning Americans behind the project: producer Jeffrey Seller, whose musical Rent won a Pulitzer Prize, director Joe Mantello and writer Brian Yorkey, who has also shared a Pulitzer Prize for drama. Yesterday, Sting said there had been one similar performance in New York and there would be another there in April. But he had been keen for it to get a thumbs-up on his native Tyneside. "I was trying to honour that period of history here and these men," he said. "Although the conditions they worked in were appalling, with an inhospitable, toxic environment of asbestos, red lead and welding fumes, they were ferociously proud of the ships they built." Sting said this was the environment of his 1950s childhood in Wallsend, on Gerald Street and then Station Road. "I'd watch thousands of men going to work along my street and see these huge ships grow from nothing and these great cranes like dinosaurs. Then the Queen Mother would come and there would be flags waving. These images and symbols have stayed with me my whole life and I decided a couple of years ago I'd try to weld all that into a story." Sting said he had never written a play before, but had worked on musicals at Newcastle's old University Theatre (now Northern Stage) in the 1970s. "I married a couple of actresses (first Frances Tomelty and then his current spouse, Trudie Styler), as you do, but then I got sidetracked into this rock and roll circus. "So it's not entirely new to me, but I'm genuinely enjoying it." Sting said the story he pitched to Jeffrey Seller had been partly inspired by an article in the New York Times which told how shipyard workers in Gdansk, Poland, raised the money to build their own ship. "I was really struck by this Quixotic, Homeric idea... this crazy thing. "I thought if I welded that inspiration to my story of my home town, we would have something that would be social history and an allegory. "I think this is a play about a few things. It's about the end of work, this universal problem. The work has gone elsewhere so we don't make things with our hands any more. "When the economic structure collapses, you first look to what you have. I'm a great believer in community." 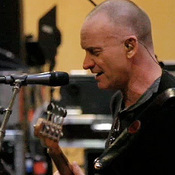 Sting said he had also been influenced by his solo and partly autobiographical album The Soul Cages, released in 1990 after the death of his father, milkman Ernest Sumner. Not exactly sure what he was writing, he had ended up with "something like a tone poem". Adding a narrative to the mood of The Soul Cages, he had come up with the musical idea that had excited Jeffrey Seller and then writer Brian Yorkie. Sting said Yorkie had made several fact-finding trips to the North East and attended a special night in a Gateshead pub. "We invited some musicians and some local colour and it was a night of stories and songs and bull**** and fun," said Sting. He said there was still a long way to go before the musical was finished and any premiere would probably take place in New York. But then he laughed and said he could see it coming to the Theatre Royal in Newcastle one day. ...as you do." Well, I'd better get on with it then! Great to see more information on what's shaping up to sound like a really exciting project! Back To Bass Gets Ready for The Sage Gateshead! Remember that if you have any photographs, ticket stubs or images from any concerts you have been too you can add them to the huge but ever expanding tour archive. Members can post their content directly or alternatively you can email material to daveandwendy@sting.com for addition to the site. Please share your experiences!